The ground-breaking ceremony of the striking new residential development, 93 Fife Residencies, was held on-site at No. 93 Fife Road, Colombo 05, in close proximity to the famous Janaki Hotel, in the presence of distinguished guests, corporate VIPs, investors and potential residents in December. The super luxury apartments are designed to meet the rising demand for exclusive new age living in Colombo. 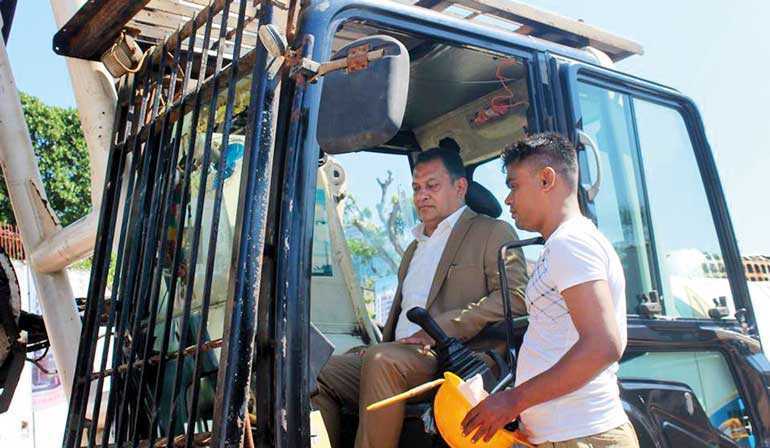 Owned and guided by the visionary leadership of New Delmon Hospitals, the apartment complex will be built on a privately owned property, spanning 40 perches of land in Colombo 05, one of the city’s rapidly progressing commercial hubs. 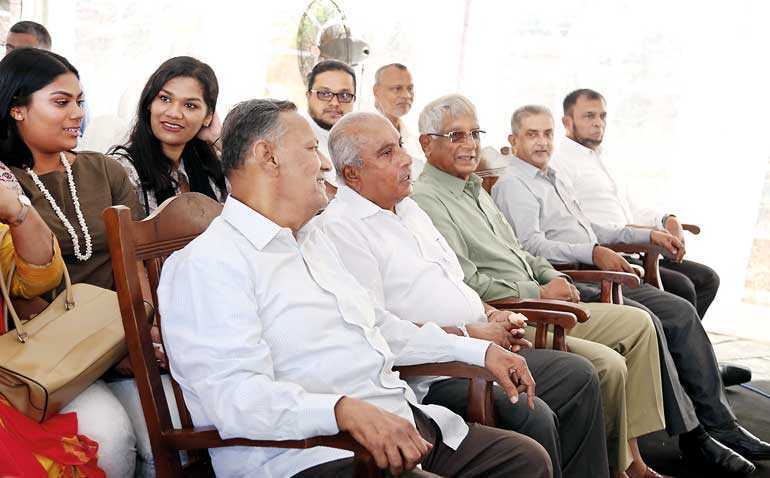 The ceremony kicked off with the lighting of the oil lamp led by Chief Guest MP Gamini Lokuge, property owner and Director of 93 Fife Residencies Ltd. Mowjood Mohamed Mohinudeen, the Directors of the Mohinudeen family, Project Architect Dr. Surath Wickramasinghe, and a number of distinguished VIPs. 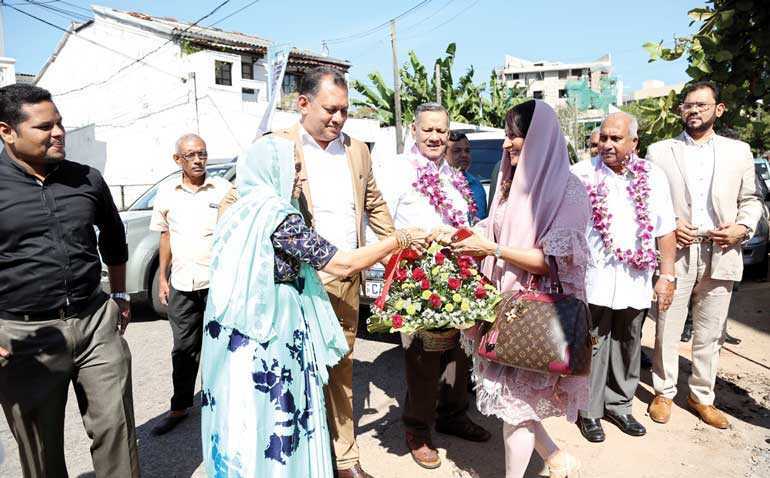 The ground-breaking of the project was then ceremoniously conducted by MP Gamini Lokuge, Dr. Surath Wickramasinghe, Company Lawyer Yaseen and Company Director Fassuhudeen. The architecture and integrated design for this luxurious property comes from the team of experts at Surath Wickramasinghe Associates, led by renowned Architect and Planner, Dr. Surath Wickramasinghe, a pioneering practitioner of a sustainable approach to architecture and engineering for over four decades. C1 Grade Contactors have been roped in to ensure internationally benchmarked standards in the construction of the project. Shared facilities include a swimming pool, fully equipped gymnasium, two stretcher-compatible lifts, kids play area, lawn area with BBQ facilities, open rooftop terrace, and an on-site management office for occupant convenience. A total of 52 parking bays are available with 4 electric car-charging points, and an additional 6 guest parking bays for visitors. Driver rest rooms are also located on the ground floor. The residences are centrally located with easy access to some of Colombo’s leading hospitals, schools, supermarkets, jogging tracks & playgrounds, restaurants, lifestyle stores and entertainment centres. Completion and occupancy of the residences is scheduled for mid-2021. According to owner and Director Mowjood Mohamed Mohinudeen, the project is a realisation of a passion for construction he had for decades. “Property development has always been a passion of mine, coming from a background in the construction industry where I have specialised in the practice as a draughtsman, a registered contractor, and then advancing the ranks at the Department of Buildings, working on many large-scale infrastructure and property development projects including the revolutionary ‘Gam Udawa’ program,” he said. Established in 1991, New Delmon Hospital is today recognised as one of the leading private hospitals in Sri Lanka, contributing to the advancement of the country’s healthcare services. 93 Fife Residencies Ltd., the management of the proposed 93 Fife Residencies, is a subsidiary of New Delmon Hospital, committed to developing high quality residential complexes with growth potential and favourable conditions.